Looks like the best bookings this summer have been at . . . Ravinia?! Perhaps they haven't been as consistent as other venues, but the Highland Park-based, wine-and-extra-cheese-focused outdoor auditorium has managed to score two ace gigs: back in July they showcased two nights of Steely Dan's slick-surfaced sleaze comedy, and for this Thursday they booked the bearded, besunglassed, raunchy sleaze comedy of ZZ Top. 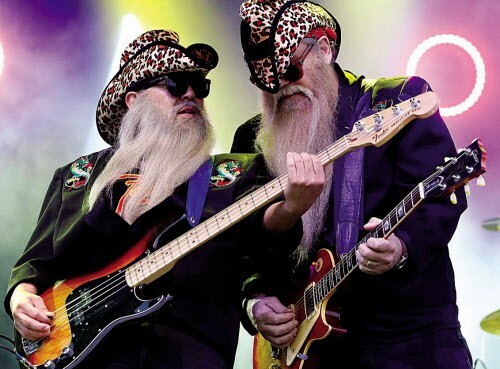 There's not much to add to the "ZZ Top conversation," but if you're skeptical of shelling out heavy bones to see Billy Gibbons shred searing blues riffs for suburban retirees then maybe I should remind you of Deguello. You know, 1979's Deguello? "I Thank You"? One listen to "Cheap Sunglasses" could do the trick. It's today's 12 O'Clock Track—listen to it below.